The PS3 controller on PC is different from the Xbox controller, and even it is not easy to set up on your pc like Xbox. Here you don’t have just to plug in, and it becomes ready to work. Keep in mind that it won’t work for the PS3 controller to PC. But on another hand, set up the PS3 controller on PC Windows 10 is not an impossible task, what it needs is proper care and follow the correct steps. So if you want to connect PS3 controller to PC windows 10, then you don’t have to look for more. Here we will show you multiple methods to connect the PS3 controller to PC. 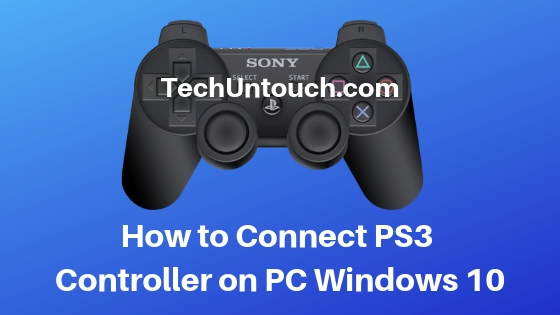 If you are here, then you must have a new PS3 controller and look for the path so let’s start with the individual methods for how to Connect PS3 Controller on PC Windows 10. 1 How to Connect PS3 Controller on PC Windows 10? 1.3 Method #3: How to Connect PS3 Controller on PC? 2 How To Connect PS3 Controller To PC Via Bluetooth? Step #2: Next, scroll down the page and get the latest version or the version that is compatible with your system. Step #4: Now pick the Latest version and install it to set up the PS3 controller on windows 10. Step #5: Now it’s time to set up the PS3 controller. To do so open the game and navigate to the settings of a controller. Step #6: Now, you can see controls, here replace each of them with the PS3 controller. And save all of them. Step #1: In this method, we first take a USB cable and plug it into your PS3 controller. As you insert it, a new screen will appear. Step #2: So to find the drivers, go to the following links and download Visual C++ 2013 Runtime, Microsoft .NET 4.0 from Microsoft website and install it on your pc. Step #3: Now, install the Xbox 360 controller driver that is compatible with your pc. We install this driver so that your system recognizes it as PS3 controller driver windows 10. From the official website of Microsoft, download and install the Xbox 360 drivers only. Check this guide is Xbox 360 Controller Driver Not Working Windows 10. In case if you are confused to download drivers manually, then you can do the same automatically with the automatic driver updater software like Driver Easy. When you install and run this software, it will scan and find out the correct drivers for your system. And as soon as you click on install, it will download and install the same. If we talk about DriverEasy, then it is available for free as well as paid. Pick the one, install it and run it by clicking on the scan now option. And then download. All done! Step #5: Now you have to extract the downloaded files. From the files you have to go to ScpServer >> bin >> ScpDriver- Application type. Step #6: Click on Install and once the process completes, close the window. Step #7: Next, go to the bin folder again and double-click on ScpMonotor. Here you can see the Pad 1. It is your PS3 controller. Method #3: How to Connect PS3 Controller on PC? Step #1: Switch on your PS3 Controller and long press the PS button located on the controller. Step #2: Connect the PS3 controller with the help of USB cable. Before you do so, check that your USB driver installed correctly. Step #3: Get the SCP Toolkit from the following link and enable all the controls of PS3 so that you can steam games. Step #4: Next, install it. For that follow the on-screen instruction. Step #6: Look for install Dualshock 4 Controller option and uncheck it. Step #7: Next, check the Install Dualshock 3 driver and Install Bluetooth driver options. Step #8: After that click on the install tab and you are done with your PS3 controller. Step #1: In this method, we will use MotioninJoy to use a PS3 controller on your PC. For that first, go to the official website of MotioninJoy to download the tool. It is a software or tool that allow the PS3 to run with your windows PC. Step #2: Install the programme and open it. Step #3: Now go to the Device Manager and look for the controller and check the box. Step #4: Load the driver, and it will install the drivers. Step #5: Even you can download the DS3 for PS3 from the developer’s website also. Step #6: Once you finish the download and installation process of drivers and other tools, it’s time to configure your controller. Step #7: For all the buttons configurations, create a new profile. Give it a new name and save it. For the controller, make changes as per your need. If you get fail in doing so, then the controller can’t detect it properly. 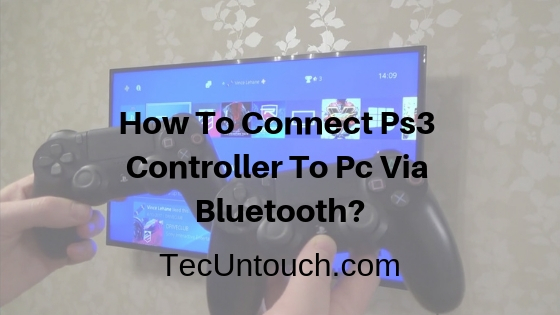 Even you can connect the PS3 controller via Bluetooth. If you do so, then you don’t have to connect it with a USB cable to your Windows PC to play the game. So the question is how to use a PS3 controller on pc. The answer is here. How To Connect PS3 Controller To PC Via Bluetooth? Step #1: First, from the given link download the following software. Before we move to the next step, keep in mind that the Xbox 360 controller driver needed for Windows 7 users, and Windows 8 or 10, it is already built in in the system. Step #2: With a mini USB cable plug Dualshock 3 into PC and plugged in Bluetooth dongle. Step #3: Next, enable Bluetooth of your motherboard. For this task, you need a Bluetooth dongle of version 2.0 or higher. Step #4: Next, download the ScpToolkit and run the installer by accepting terms and conditions. You will see a menu, keep all the options to install and makes sure you have ticked the ScpToolkit Bluetooth Pair Utility option. Keep other options as default. Step #5: Next, begin installation by click on the install tab. Step #6: As soon as you click on the install button, within 40 seconds, the ScpToolkit will install. Step #7: When you see a green button on your screen, click on it to run the Driver Installer. Click on the green button. Step #8: Look for the drivers that you want and check them to install. You have to check the Dualshock 3 driver, PlayStation 3 controller, Bluetooth dongles, and for Vista users Force Driver Installation. Now it will start the installation process, and you will see many pop-ups on your screen that try to recognize your hardware. You have to scroll down and find Bluetooth Driver installed and Dualshock 3 USB Driver installed. Step #10: Check both options and click on exit. Step #11: You can see the ScpToolkit as an icon on your system tray. 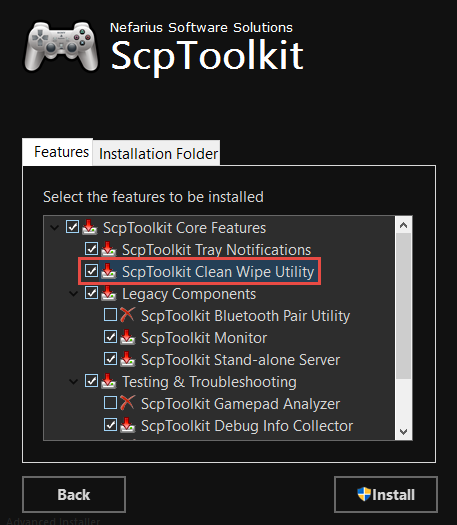 Go to the ScpToolkit Settings Manager from the start menu and if you want to make any changes in setting do it. With this, we conclude our article. After reading the above four methods on how to use a PS3 controller on PC, you might find the way you want to pick as per your technical knowledge. During the process, if you meet any problem, ask us without any hesitation.